Superdry women's Finley embroidered mini dress. You can never have too many dresses, and the Finley embroidered mini dress is a must have for your everyday wardrobe. 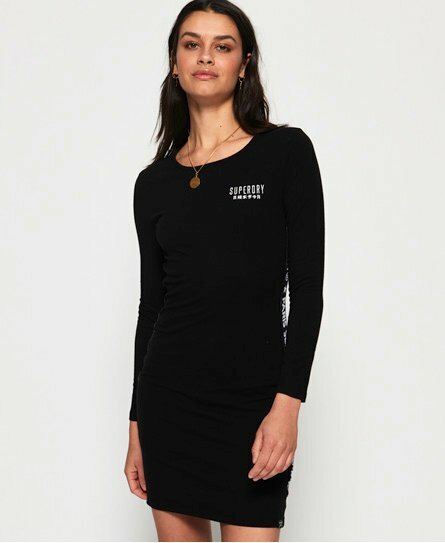 Featuring a crew neck and long sleeves, the body con fit of this dress creates a beautifully sleek silhouette. Completed with our signature logo embroidered on the chest and a logo tab on the hem, pair the Finley dress with a denim jacket and trainers for a look that will work all day.